There were six of us that casually walked from the Grand Hotel staying on the sidewalks to avoid the evident traces of the only mass transit vehicles on the island. As I have mentioned walking, cycling or horse-drawn carriages are the only modes of transportation. 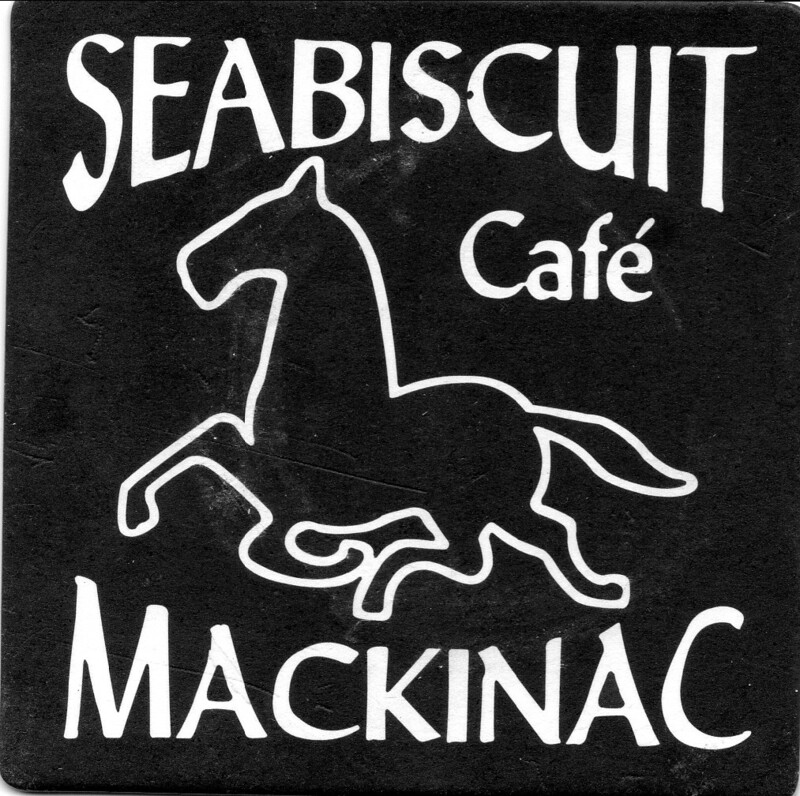 We decided to go to Seabiscuit Café in the downtown area of Mackinac Island. The restaurant just like every other business is in very old buildings that have been renovated, but still maintaining the appearances of the late 1800’s. There are some more recent buildings, but they are not on the main road, which has maintained the quaint look that the community wishes for. Seabiscuit Café as one can imagine from its name has an equine theme to it, that it could just as well be located in the shadows of Churchill Downs. One of the television monitors was even showing the film about the legendary horse, after which the restaurant is named for. The décor was all horse related, but in a more casual atmosphere, as most of the restaurants on the island is relaxed and geared for the vacationer. The good news is that Seabiscuit was not on the menu, and I say that tongue-in-cheek. They had a reasonable size menu of choices and a couple of specials as well. Everyone at our table was able to find a couple of different dishes that they had to agonize over, when our server came for our orders. My Bride had a large specialty salad, and I was still hungry, because the appetizers that we had earlier would not hold me over until the next day, like it does for her. They had a double cut pork chop that sounded too good to pass up, and it was done to perfection. Since the majority of the dinners ordered were on the lighter side, I looked for a white wine, and the one I chose was a bit light for my own entrée, but would be better for the group. I was telling them how I have only recently started drinking this particular type of wine in the last year, and that it is not as common as other varietals. 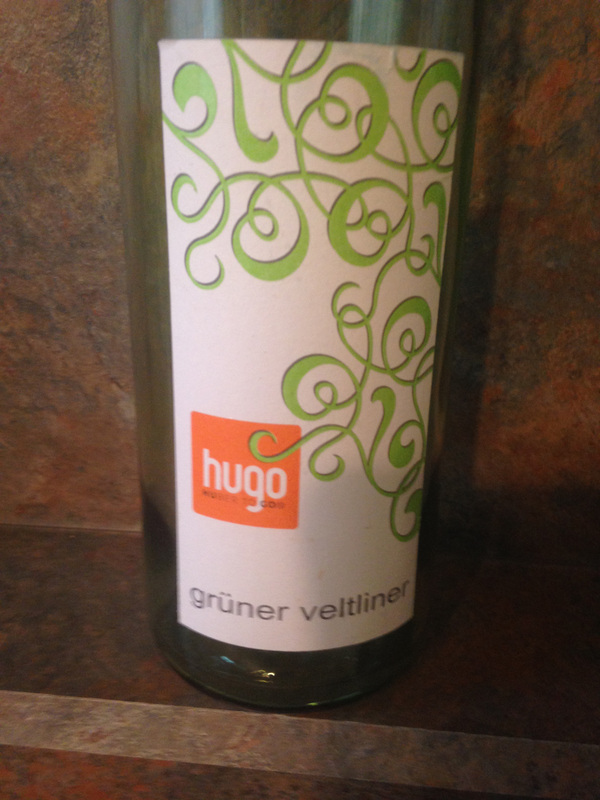 We had a bottle of Weingut Markus Huber Hugo Gruner Veltliner 2013. This wine is from the Traisental, Niederosterreich region of Austria and is one of the small wine production areas of the country. Gruner Veltliner is the main grape of Traisental as well as all of Austria. I am sorry to say that this wine was not as interesting as some of the other wines that I have had, but that is what is fun about wine, and the evening made it better. This entry was posted in Dining, Wine and tagged Austria, Gruner Veltliner, Niederosterreich, Traisental, Weingut Markus Huber Hugo. Bookmark the permalink.